With 1,644 exhibitors and approx. 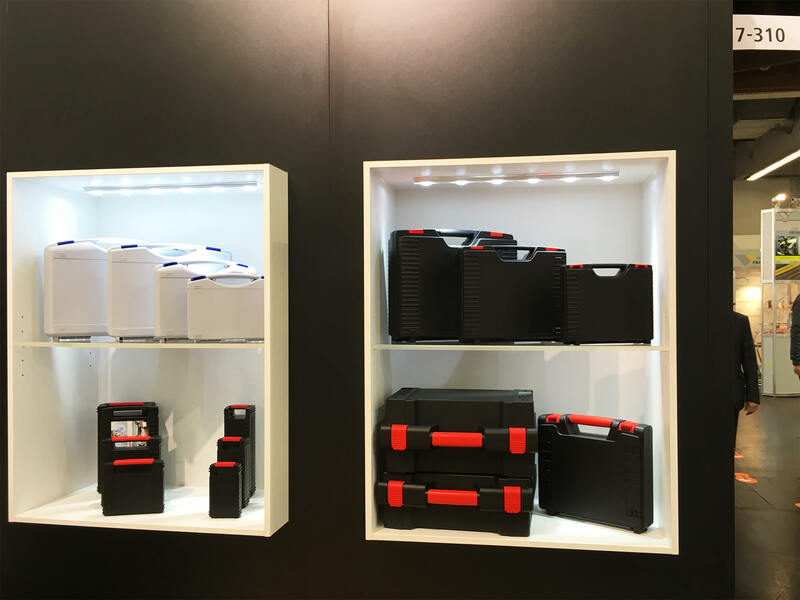 45,000 visitors, the European trade show FachPack 2018 has made a name for itself among the packaging trade shows. FachPack grew again this year. For the first time, it used all available space in the Nürnberg-Messe with a total of twelve halls. The reorganisation of thematic focal points led to new hall planning at this year’s FachPack. 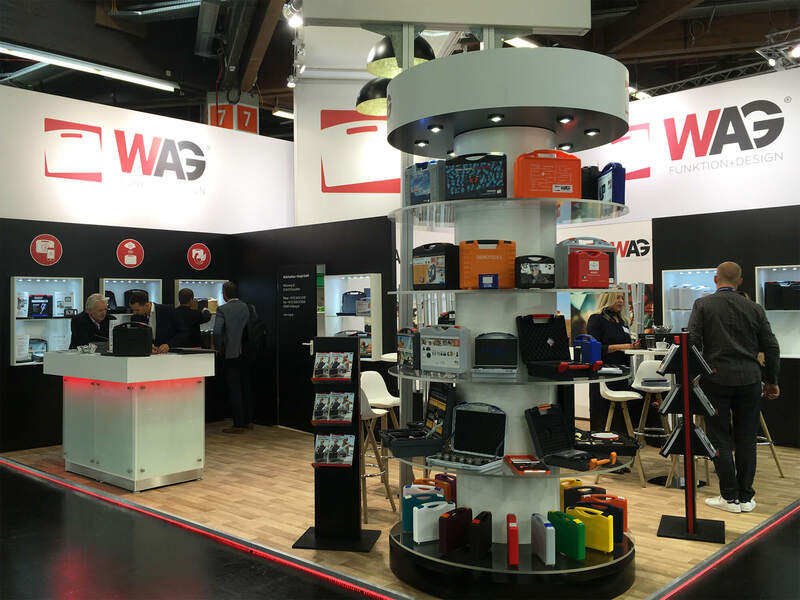 As a result, the W.AG booth changed from the traditional Hall 5 to the largest FachPack hall, Hall 7. 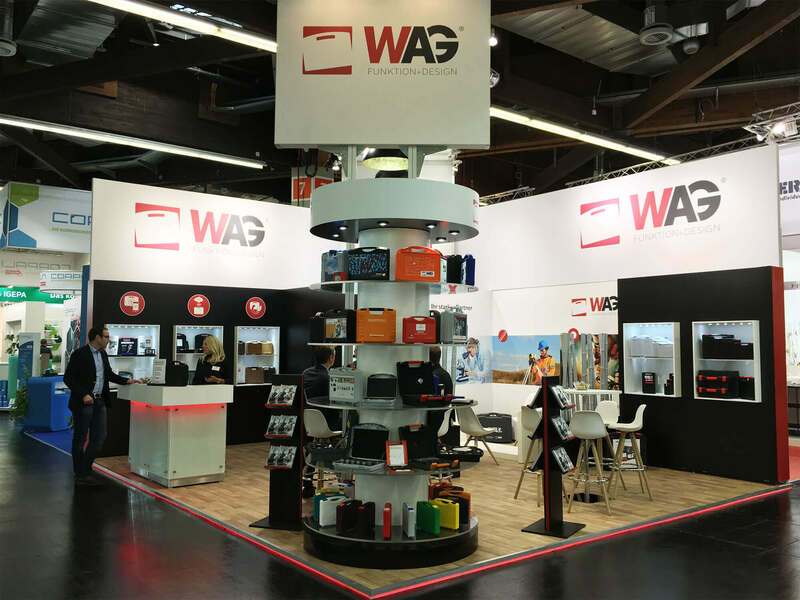 At booth 7-310, the W. AG team displayed its new products and concept studies about its own plastic case product range such as Digimarc Barcode, organic plastic cases and smart cases (IoT). 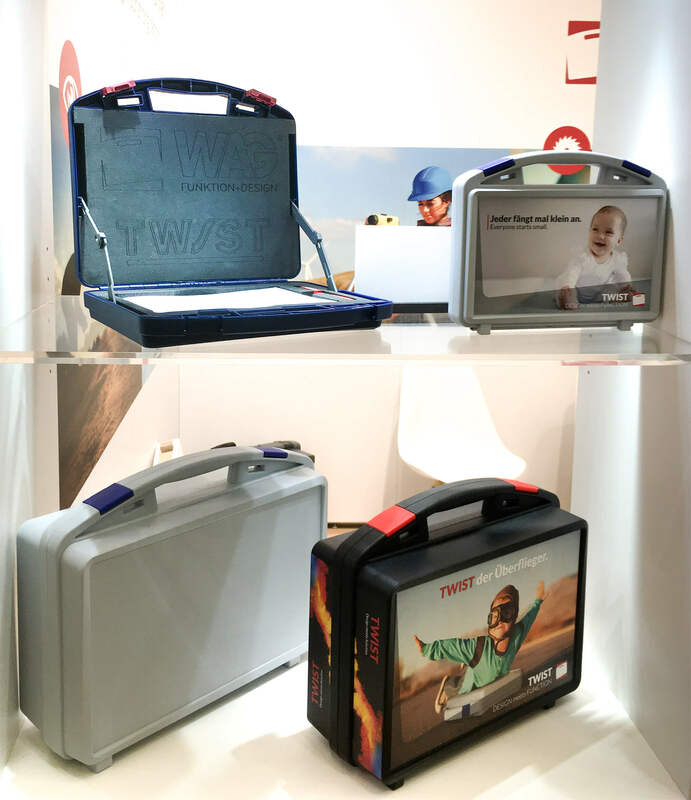 Since the JAZZ and HEAVY plastic case series have been available in almost all sizes with in-mold labelling (IML) for a short time, the plastic case manufacturer showed some IML samples of the two series in the pylon. Companies selling technical and high-quality products in their sectors can now decorate all technically-designed JAZZ plastic cases of all sizes with brilliant images. The same is true of all HEAVY heavy-duty plastic cases except for the HEAVY 4054. The relatively large decorative surfaces of the two plastic case series are ideal for the IML decoration process and allow you, for example, to depict large product pictures or call-to-action instructions on plastic case halves for the Digimarc barcode available with IML. The W.AG booth dedicated an entire display case to Digimarc. Visitors to the trade show booth could see for themselves and try out first customer projects and interesting examples of possible uses. 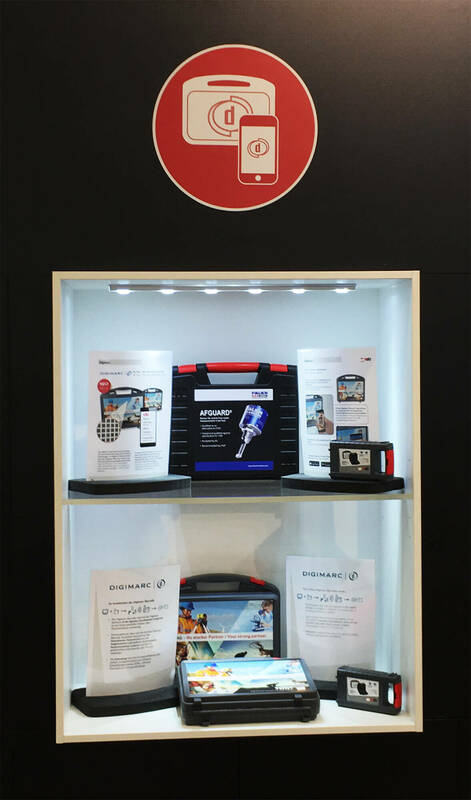 Many visitors were amazed by how easy it is to download the free Digimarc Discover App from the App Store or the Google Play Store and apply it to a plastic case using IML decoration. For example, a customer linked the digital instructions for the packaged product. That’s how many visitors were made aware of the cost savings potential because in the future, instruction manuals will no longer need to be printed. They will instead be accessible online in digital form. The Digimarc testers rated the Digimarc Discover app activity overview that listed all scanned Digimarc barcodes and their destination links as being very convenient. You can therefore also access videos, instructions, websites, etc. at a later point without the plastic case. For the first time, W.AG Funktion + Design made plastic cases of 50% organic plastic. 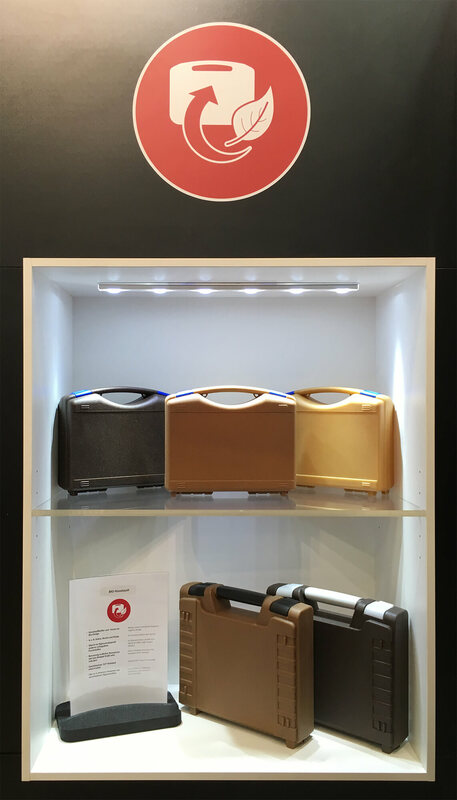 The trade show visitors were able to see the wood look of the TEKNO and HEAVY plastic cases with their own eyes. The organic plastic cases were presented in beautiful wood colours of coconut, beech and spruce. The organic plastic used is similar to the property profile of the plastic polypropylene used by W.AG. As a plastic case manufacturer, W.AG has already begun its first series of tests in 2017 with various organic plastics that not only look good but also minimise the use of finite resources such as crude oil. The organic plastic consists of wood fibres and other organic materials and it perfectly complemented regular plastic in the concept study. The smart plastic case of the future knows where it is and what’s happening to it! The Internet of Things (IoT) has been on the rise for several years. 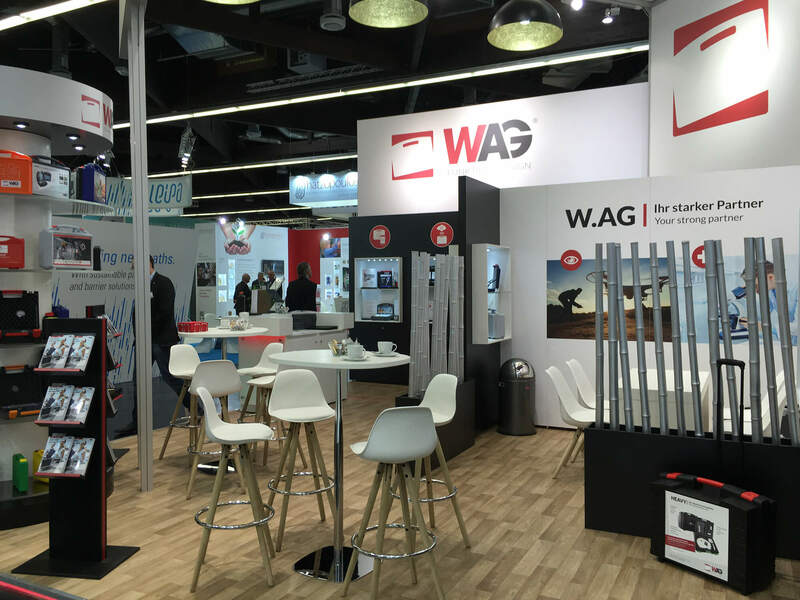 W.AG presented visitors with plastic cases equipped with GPS trackers as an IoT solution. A GPS tracker installed in the plastic case inlay is networked with a cloud platform that stores all measured data recorded such as GPS position, temperature, shock events, etc. and it enables the subsequent reporting of environmental conditions in the plastic case. 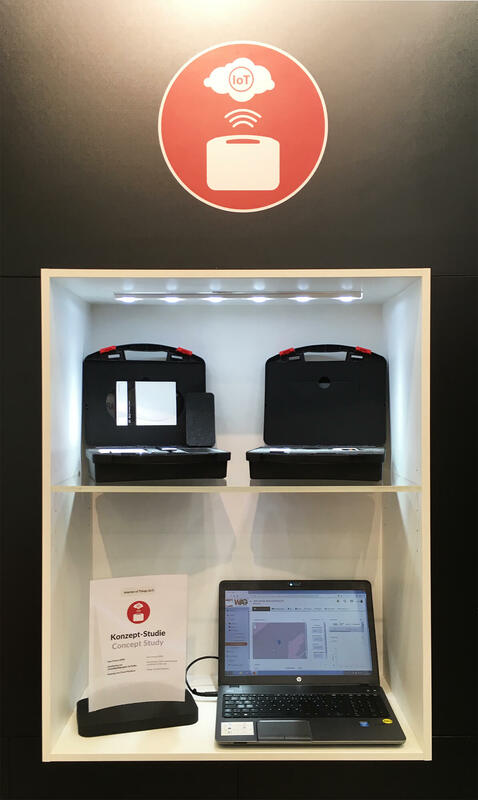 That makes it possible to precisely record and analyse the transport conditions a packaged product is exposed to inside the plastic case. With the help of defined geo-fences, it is also possible to implement anti-theft protection by means of alarm functions. If a plastic case leaves the designated GPS area, its owner receives an alarm email or SMS notification. If a smart case with regular GPS tracking is stolen, the plastic case thief can be quickly located on the map view. 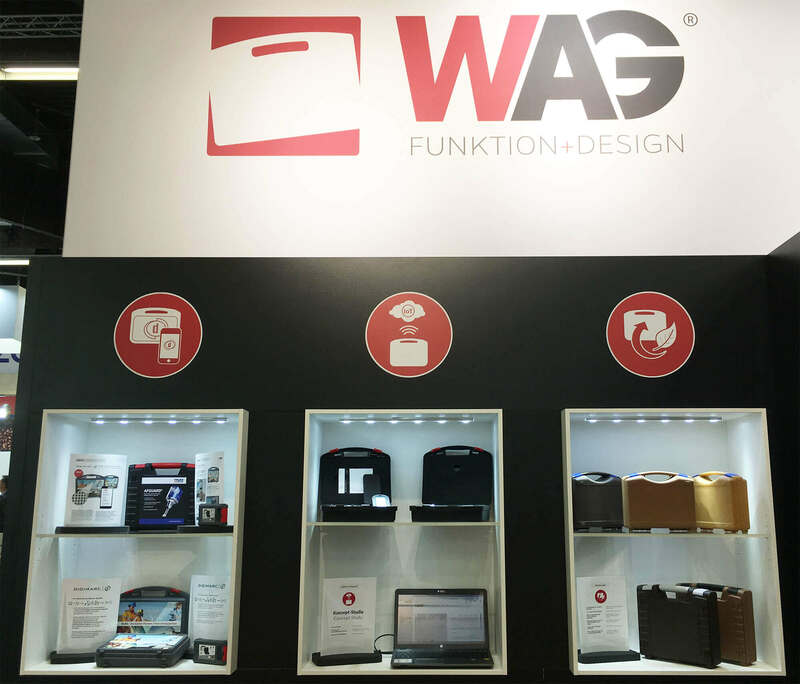 The in-house expertise of foam workmanship by W.AG enables sophisticated inlay solutions that can be used to hide tracker hardware hidden inside a plastic case. Especially for high-quality and expensive products, smart cases offer numerous use possibilities and should be of interest to anyone who would like to know exactly what is happening to their packaged product during transit. We would like to thank all visitors for their visit to our booth as well as for the lovely conversations. As usual, we have once again put together a picture gallery of our booth.